(Oct 15): StarHub Chief Executive Officer Peter Kaliaropoulos said the company, Singapore’s No. 2 telephone carrier, is looking to pare costs even further by sharing infrastructure after announcing he would trim the company’s workforce by about 12%. The city-state’s No 2 telecommunications company may reach a commercial agreement on network sharing in 2019 or earlier, Kaliaropoulos, who joined as chief executive officer in July, said in an Oct 11 interview. Financial benefits could be seen by the end of next year, he said. The company and smaller competitor M1 said in January last year that they would study further collaboration in mobile infrastructure sharing that could lead to lower spending. Kaliaropoulos, who took over as CEO in July, announced 300 job cuts earlier this month as part of a broader plan to save $210 million over three years from 2019. 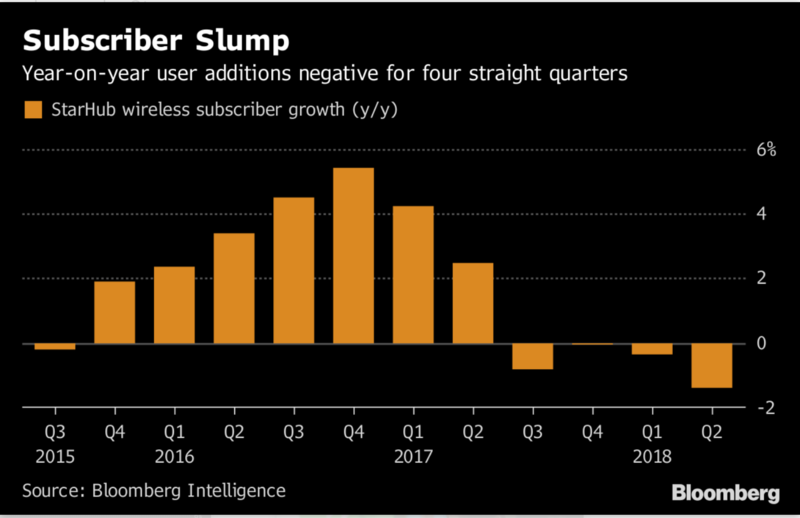 Once an upstart third entrant itself, StarHub is seeing mobile subscribers dwindle amid price competition ahead of the entrance of a fourth player, TPG Telecom. At the same time, StarHub’s model of offering users access to films, television and broadband services, is being challenged by streaming powerhouses like Netflix Inc. The company’s enterprise, or corporate services, business has been growing about 20 percent a year and will probably make up more than half of total revenue within two years, compared with 40% now, he said. Along with cutting costs and arresting the slide in subscribers, Kaliaropoulos must also win back support from investors, who’ve pushed the shares down 52% since July 2015, knocking $3.6 billion off the company’s market value. With more mobile phones than people, Singapore’s telecommunications market is just 0.4% the size of China’s, which has only three carriers. Regulators in the island state have sought to introduce more competition to bring down phone bills and improve services. Kaliaropoulos, who built a reputation as a turnaround executive by leading mobile operator Zain Saudi Arabia to its first quarterly profit since the company was founded in 2008, said StarHub could begin to look for growth only after “stabilising” its position in Singapore as the No 2 provider. “The next couple of years is to focus predominantly in Singapore, and be a very strong, clear challenger, a clear No 2, and once we weather the storm, we do look at other opportunities,” he said.